Yup, that thing is a dead ringer for the Nikon J1, a high-end, compact, replaceable-lens camera that competes with the Micro 4/3 standard. From body shape to color choice to button placement, it's a pretty clear knockoff - even the plastic lip around the lens release button looks similar. Nikon is currently suing Sakar for design patent and trade dress infringement, which is a nice corporate way of saying, "that thing's a knockoff, knock it off the shelves." As of Wednesday Sakar is barred from selling, manufacturing, importing, advertising, or shipping the Polaroid iM1836 in the US pending the outcome of the lawsuit. Sales injunctions before trial are generally pretty hard to get, so it takes a dramatic case of infringement to score one. The iM1836 would seem to qualify. David Ruddock had some time with the Android-powered camera way back at CES 2013, and according to his hands-on, the odd design decisions, poor software, and questionable build quality made it unworthy of attention. As the kids say: "and nothing of value was lost." On October 11, 2013, Nikon Corporation and Nikon Inc. ("Nikon") sued Sakar International, Inc. ("Sakar") in the United States District Court for the Southern District of New York for design patent infringement and trade dress infringement arising from Sakar's "Polaroid iM1836" digital camera (Case No. 13-Civ-7228 (S.D.N.Y)). Shortly thereafter, Nikon moved for a preliminary injunction to stop the sales and advertising of the Polaroid iM1836 digital camera. After appearing before the Court, Sakar and Nikon agreed on the terms of a preliminary injunction. The Court thus issued a Preliminary Injunction Order on December 4, 2013 (Eastern Standard Time). 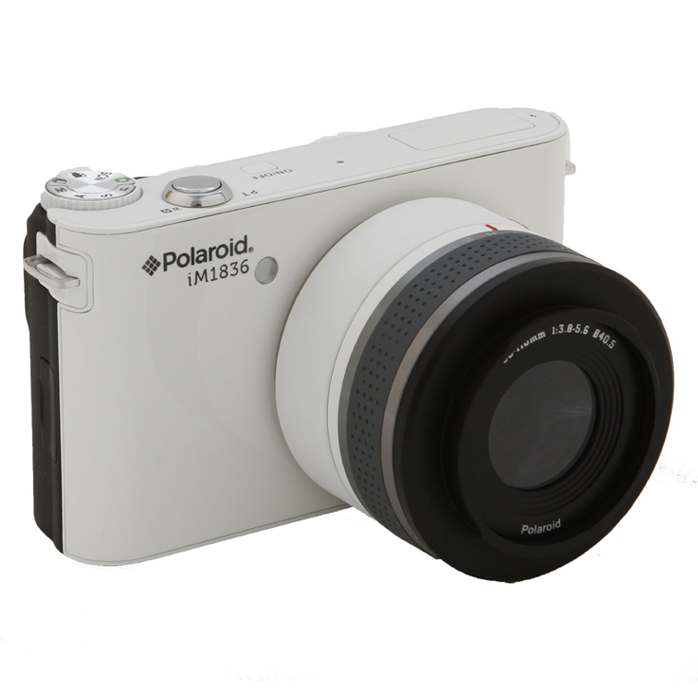 As part of the injunction, Sakar will no longer manufacture, import, advertise, promote, offer for sale, sell, or ship the Polaroid iM1836 digital camera in its present configuration. The abovementioned design patent and trade dress rights are related to the "Nikon 1" Advanced Camera with Interchangeable Lenses.